Niagara County is located in the U.S. state of New York. Its county seat is Lockport. The county was created in 1808 and originated from Genesee County. The name of the county comes from an Iroquoian word perhaps meaning "a neck" between two bodies of water, "thunder of waters," or "bisected bottom land". The links directory provides suggestions for a variety of websites to assist in your family history and genealogy research. 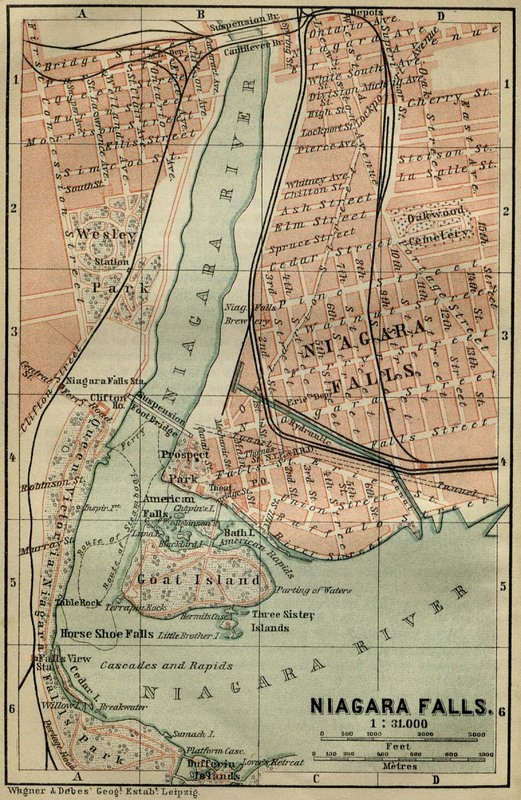 Harvard's Social Museum Collection-Under "By Geography", click on "New York", then click on "Niagara Falls"
Some Old City Views-of Niagara Falls, N.Y. Biography of Jacob E. Helwig, M.D. Biography of Wilson M. Pettit, M.D. Biography of Jedediah Gaskill, D.D.S. Biography of Charles E. Congdon, M.D. Biography of John F. Neff, Jr. Biography of John Gray, M.D. Biography of John Grove Van Pelt, M.D. Biography of Clarence B. Le Van, M.D. Biography of John Henry Brierley, M.D. Biography of L. J. McAdams, M.D. Biography of E. M. Westbrook, M.D. Biography of Frank A. Harrington, M.D. Biography of Frank B. Foote, M.D. Biography of Ozias Stephen Chapman, M.D. Biography of Frank B. Harrington, Jr. Biography of Peter Faling, M.D. Biography of Frank Guillemont, M.D. Biography of Sarah L. Cushing, M.D. Biography of T. A. Kerr, M.D. Biography of Harry S. Buell, D.D.S. Biography of W. B. Beach, M.D. Biography of Walter A. Scott, M.D. Biography of Henry Smoyer, M.D. Biography of William G. Taylor, M.D. Biography of Allen N. Moore, M.D. Biography of Alpheus Prince, M.D.